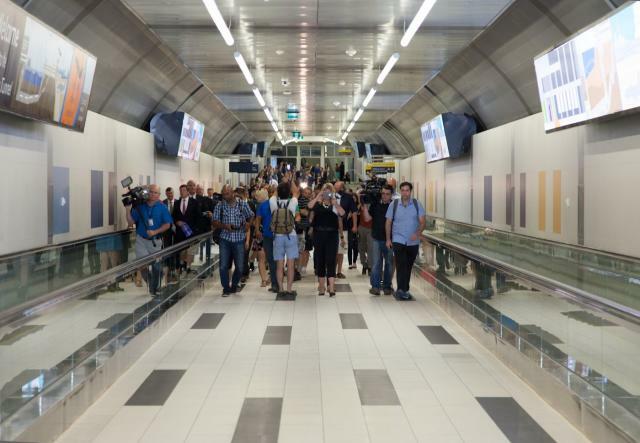 For the first time since a violent storm disconnected the peninsula from the mainland in 1858, pedestrians can now walk to the Toronto Islands – or at least the airport located there. 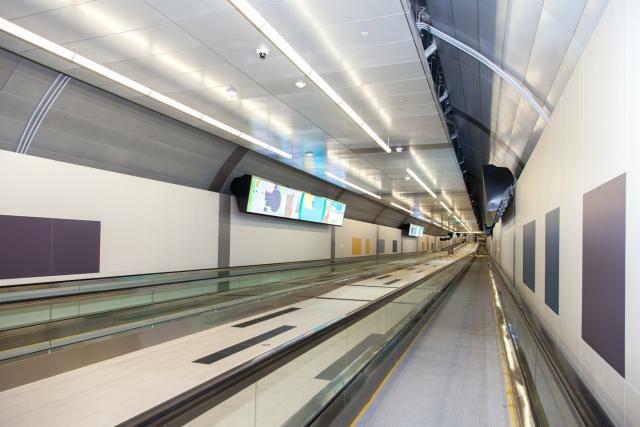 A new fixed pedestrian link connecting Eireann Quay and Billy Bishop Toronto City Airport opened to the public today, joining the islands and the mainland via an underwater tunnel running approximately 100 feet below the surface. 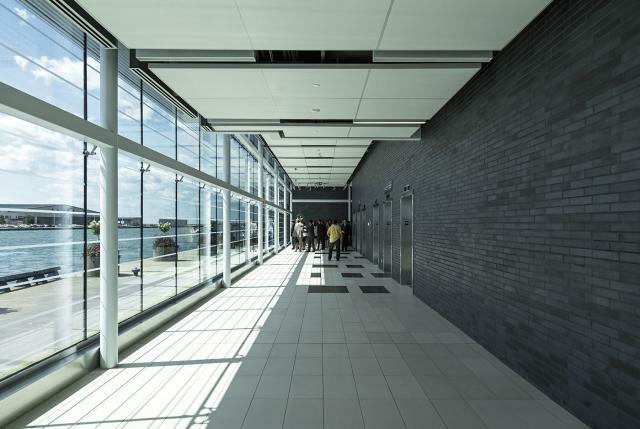 Since opening in 1939, the Island Airport, as many refer to it, has only been accessible from the mainland via a short ferry route—that is until earlier this afternoon when the first pedestrians crossed the 853 foot/260 metre tunnel below Toronto Harbour’s Western Gap. 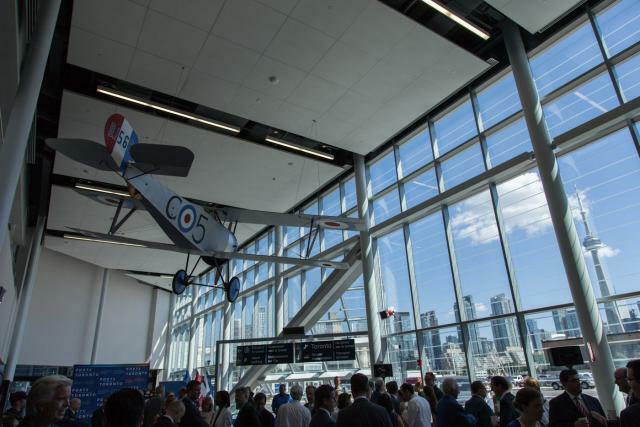 The opening event, held inside the island-side terminal, was attended by representatives of Ports Toronto as well as politicians including Mayor John Tory and Federal Minister of Transport Lisa Raitt. Raitt previously served various roles within the Toronto Ports Authority, the predecessor to Ports Toronto. Former Mayor and Ward 2 councilor Rob Ford was also in attendance, as the $82.5 million project was initiated in 2012, during his administration. 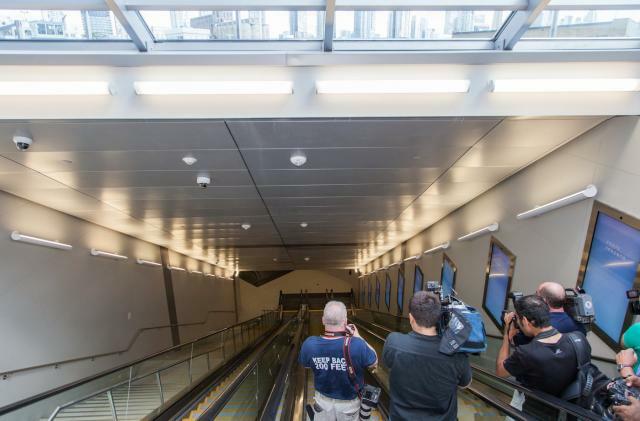 Following speeches by dignitaries and a brief ribbon-cutting ceremony, the media was ushered down two very long banks of escalators within the terminal, for our first look inside of the newly-completed tunnel. 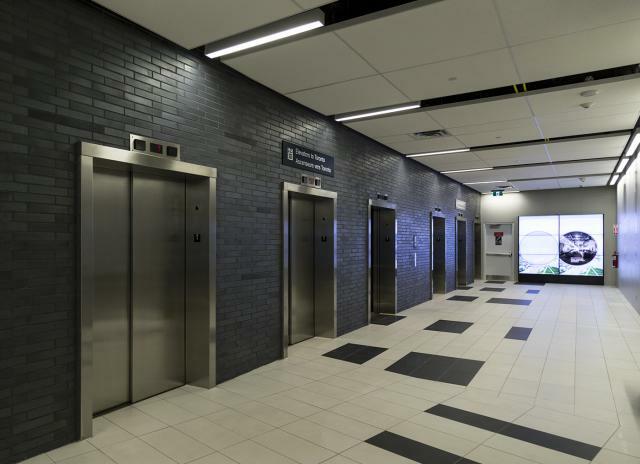 The tunnel can be accessed from the island side by one of the longest escalator systems in Canada, elevators, or a staircase of 153 steps. 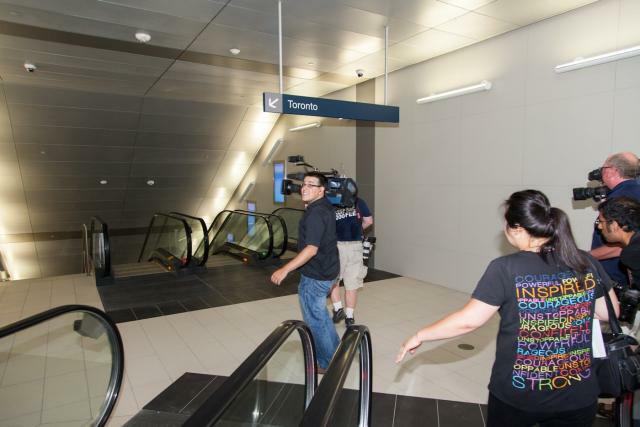 We, along with a crush crowd of media, chose the escalators. The escalator system is divided into two banks, with a short landing in between them. At the bottom of the second set of escalators, those heading for the mainland find themselves at the entrance to the tunnel proper, which measures approximately 550 feet end-to-end, excluding approaches. Ten metres of lake water sits above the top of the tunnel, which takes approximately six minutes to cross at average walking speeds. 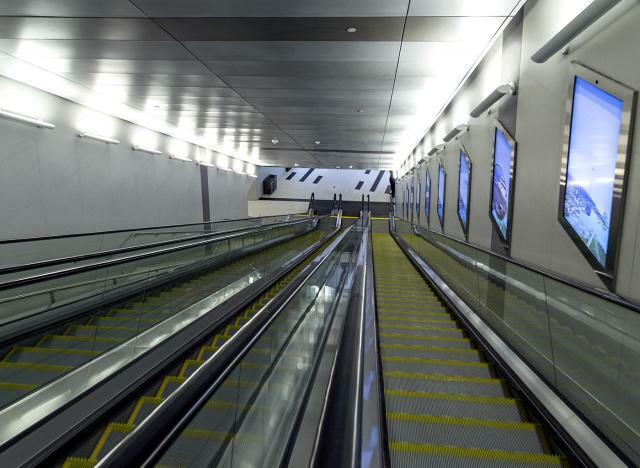 The tunnel can move approximately 1,100 pedestrians per hour, largely with the help of four automated walkways, or movators, similar to the ones found in larger airports around the world. 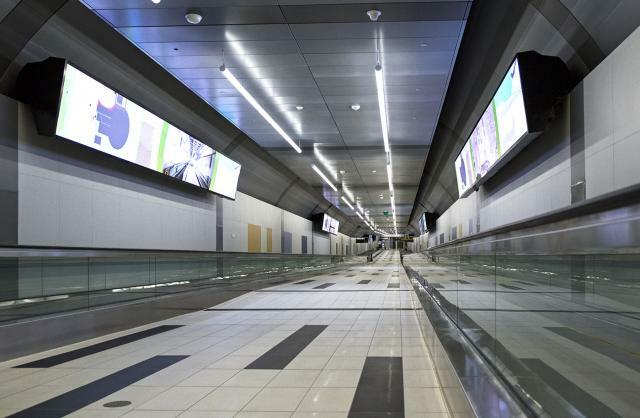 Digital screens are mounted above the moving walkways. These are just a few of the 42 screens installed throughout the airport, including the pavilion, atrium and tunnel. Facing back to the south from the city side, the tunnel got its first real capacity test as a crowd of media and dignitaries made the crossing. At the north end of the tunnel, a bank of six elevators leads up to a bright pavilion at the foot of Eireann Quay, where a convoy of taxis and shuttle buses await to fight their way through traffic to destinations in the city. While this is clearly the more convenient method of the crossing Western Gap for patrons of the airport, vehicles as well as those who appreciate the romanticism or novelty of the short boat ride will still be served by the ferry. The project has been the recipient of multiple awards, including the Tunneling Association of Canada’s 2014 Canadian Project of the Year Award, and International Tunnelling & Underground Space Association’s 2014 Specialist Tunnelling Project of the Year Award. 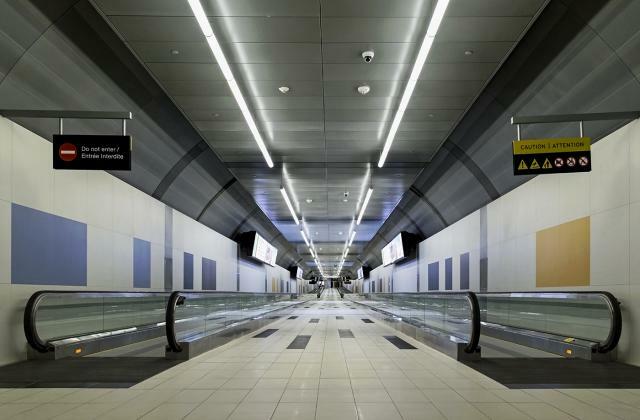 In addition to providing a crucial pedestrian link to the airport, the tunnel also includes new municipal water and sewer mains traveling to and from the island, incorporated into three of the tunnel drifts. The inclusion of these services in the project has saved an estimated $10 million in construction costs, that may have otherwise been payed through taxes. A new study by Genworth Canada and the Conference Board of Canada says first-time buyers, retirees and population growth will continue to fuel demand and price growth in condo markets in Canadian cities over the next few years. The report looked at eight major metropolitan areas and noted that rising prices for single detached homes are encouraging first-time buyers to look at condos as an option, while retirees “remain heavy condominium consumers.” Further demographic support in the coming years will be provided by an aging population. The report also cited continued low interest rates and employment growth as factors supporting the condo and housing market. Genworth is a Canadian mortgage insurer based in Oakville, Ontario. Many of the report’s predictions run contrary to warning issued by some experts and government officials about the Canadian housing market and some specific “overheated” markets. After The Success of Infinity Phase I, II, III The Conservatoy Group Brings INFINITY FINAL PHASE !!!! No boundaries, unlimited possibilities, ultimate freedom. That’s the theme of Downtown’s newest luxury condominium residence, a soaring architectural masterpiece right across from the Air Canada Centre. Right in the heart and soul of downtown Toronto, Infinity 4 Condos is a rare find in the absolute centre of one of the greatest cities in the world. At your fingertips are the best gourmet restaurants, the hottest sports events in the city, world-class performances, inspired shopping venues, trendy bars and clubs. Boasting one of the best locations in the city – overlooking the CN Tower, Skydome, and waterfront – Infinity 4 Condos takes you to unimaginable new heights of luxury and sophistication. At the Infinity Condos the luxury never ends and the lifestyle goes forever. Executive amenities include a 24-hour concierge, card access security system, an elegant lobby entrance, and guest suite. For the exclusive use of residents, Infinity’s own recreation and entertainment centre includes a fitness club, luxurious indoor pool, sauna and whirlpool, cinema, party room and more. With a complete recreation centre and endless lifestyle possibilities at your doorstep, Infinity 4 Condos is an exciting new adventure in condominium living. The Final Phase of INFINITY CONDOS Will be 18 Storey Building at very competitive prices. 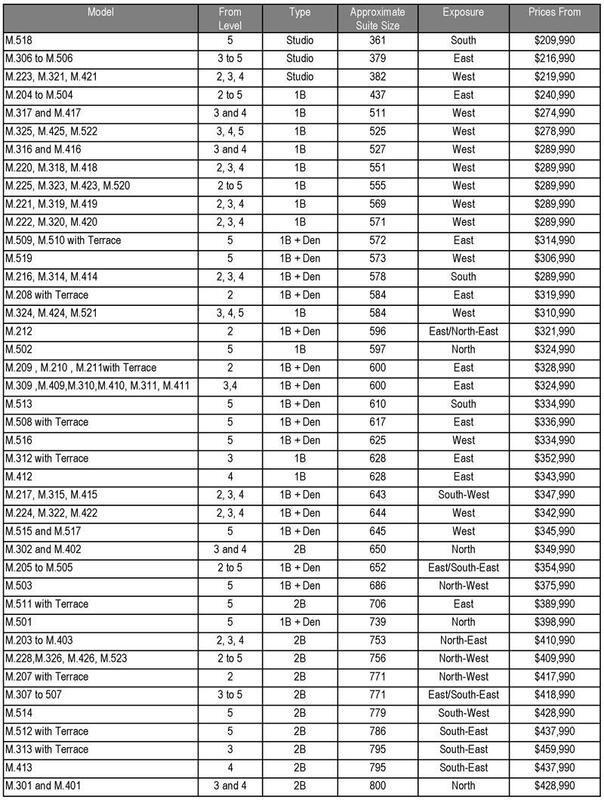 Amazing Opportunity for investors at prices $100-$200 less than competing buildings. Rise Condos by Reserve Properties is coming to the South East corner of Bathurst and St. Clair. Located on the subway line, and within minutes to mid-town and downtown Toronto, RISE will be a spectacular development at a fantastic location! Rising to 25 storeys, Graziani + Corazza Architects have given Rise a Mondrian-inspired grid at the intersection, and a six-storey podium running south along Bathurst, to provide the perfect space for a lushly landscaped and decked-out rooftop terrace, which culminates in an infinity pool facing the southern view. Rise Condominiums presides over the south-east corner of Bathurst and St. Clair, anchoring the gateway to this new hub. Steps from the St. Clair West subway stop and across the street from Loblaw’s (a.k.a. Forest Hill Market), Rise Condos will become a statement piece for the community with a Mondrian inspired pattern rising up its façade. 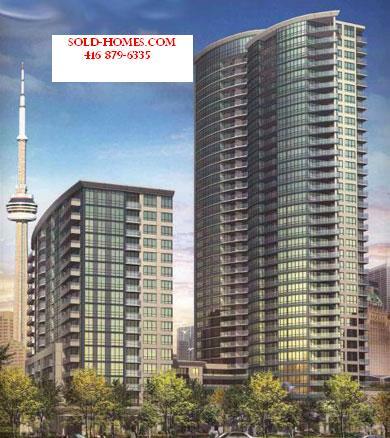 Rise Condos will offer 320 contemporary condominium suites starting from the low 200,000’s and ranging from 437 sq. ft. – 865 sq. ft. with a dream lifestyle that has yet to be seen in midtown Toronto. Emulating the ambience of a swanky international hotel, Rise Condominiums offers purchasers the ultimate amenity wish-list covering an expansive 18,000 sq. ft. Soaring above the St. Clair escarpment, a seductive infinity pool spans across the building with a picture perfect backdrop of downtown Toronto. Sharing the same spectacular view, Rise Condominium ’s oversized outdoor terrace features the ultimate entertainment space with dining and cooking areas, fire pits and private cabana lounges. The outdoor terrace is connected via transparent sliding doors to intimate dining and lounge spaces so residents can play, relax or entertain at any scale. Floor premiums of $1,000.00 per floor. Custom designed European style kitchen cabinetry** with stone countertop, **single or double bowl undermount stainless steel sink, stone surface island counter* and glass tile backsplash**. Premium stainless steel appliances. Gas cook-top, electric built-in oven and microwave. Integrated ENERGY STAR frost-free refrigerator and dishwasher. Pre-finished engineered wood floors throughout except in bathrooms and washer/dryer room. Custom designed European style bathroom cabinetry ** with stone countertop** and undermount sink. Frameless glass shower *, rain style showerhead, deep soaker bathtub with porcelain tiles ** on all wet wall surfaces and floor. Individually controlled heating and air conditioning utilizing a heat pump system. Gas BBQ connection provided on balconies and terraces. *Denotes availability determined by suite design. **Denotes finishes to be selected from the vendor’s samples. Register now, and be the first to access the price list and floor plan for upcoming New Condo project.